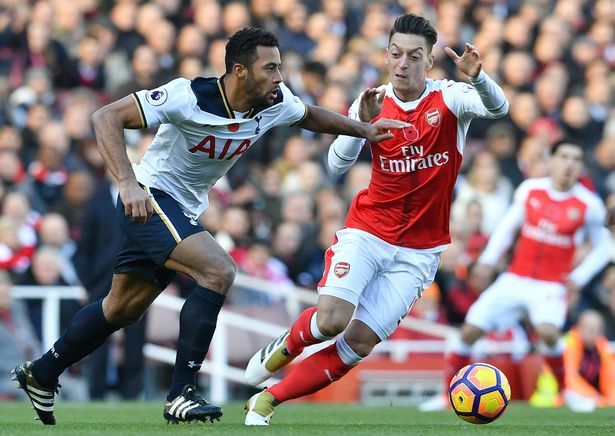 Arsenal missed out on the chance to go top of the Premier League table following their 1-1 with Tottenham Hotspur at the Emirates Stadium. In todays derby, Arsenal produced a superb performance, although they should have scored more goals in the first half only for their countless misses. Spurs should be thankful to their goalkeeper Hugo Lloris whose superb saves made the to leave the Emirate stadium with a deserved point. 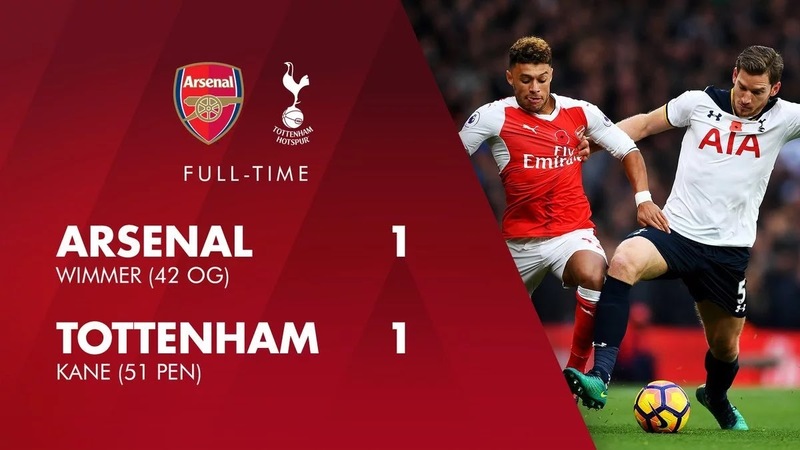 Spurs then came back stronger in the second half, and their efforts was crowned when Arsenal defender Laurent Koscielny pulled down Musa Dembele and the referee wasted no time to give Spurs the penalty which was converted by Harry Kane in the 51st minute and made it 1 - 1. The result prevented Arsenal from climbing above Chelsea and Manchester City and opening up a six-point gap over Tottenham, who remain fifth, three points below Arsene Wenger's men and four points off first place.